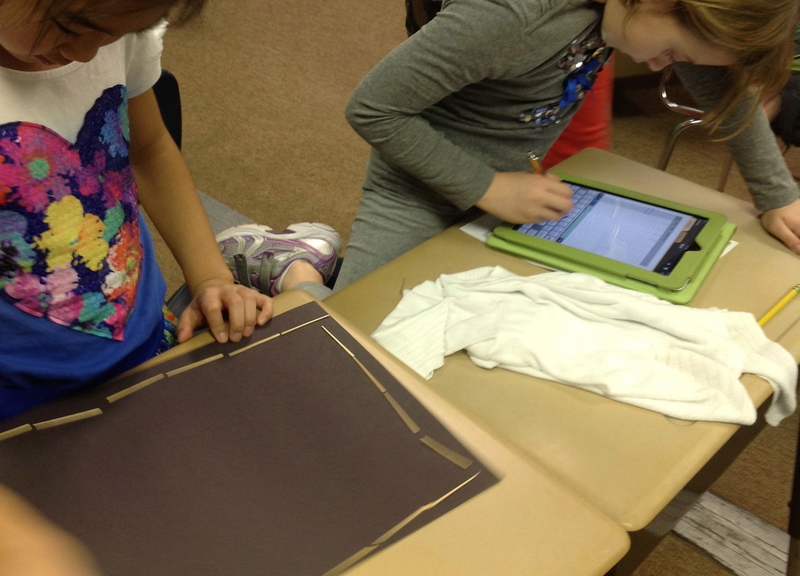 Over the past couple of weeks, my 3rd graders have been working with our new set of iPads on a Garden Project. Since our school has put in learning gardens this year, I thought it would be an applicable project for them. The premise of the problem: The school wanted to build a garden with the most space to plant our vegetables. Each group was given 18 feet of fencing (18 toothpicks) to use as their perimeter. They were to design each garden, record the dimensions, and take a picture to save in their photos. After they designed all possible rectangular gardens, they had to create a presentation in Numbers to show me which garden they wanted to build. I am always amazed how fast the students can pick up the technology and run with it! They were collaborating and discussing perimeter and area like pros! We are sharing presentations tomorrow and then we will be extending our thinking by looking at the relationship between area and perimeter! I will post their presentations when I get them uploaded tomorrow! 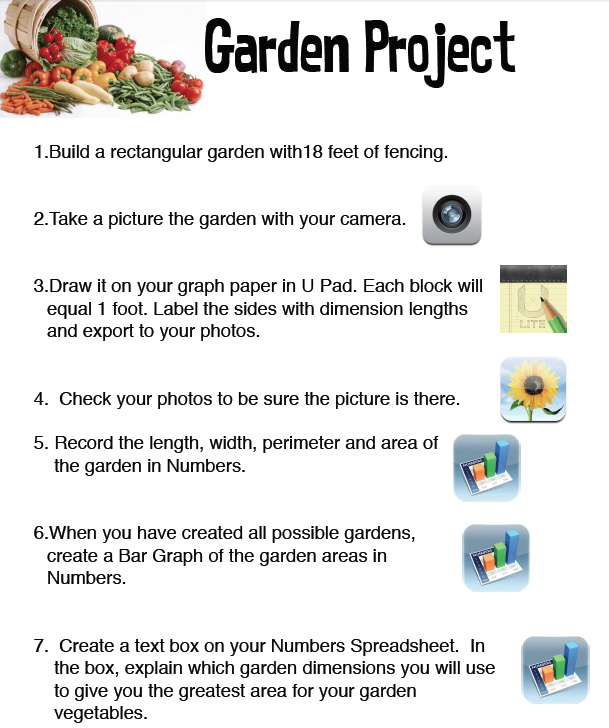 Here is the GardenProject pdf if you want to try it out! 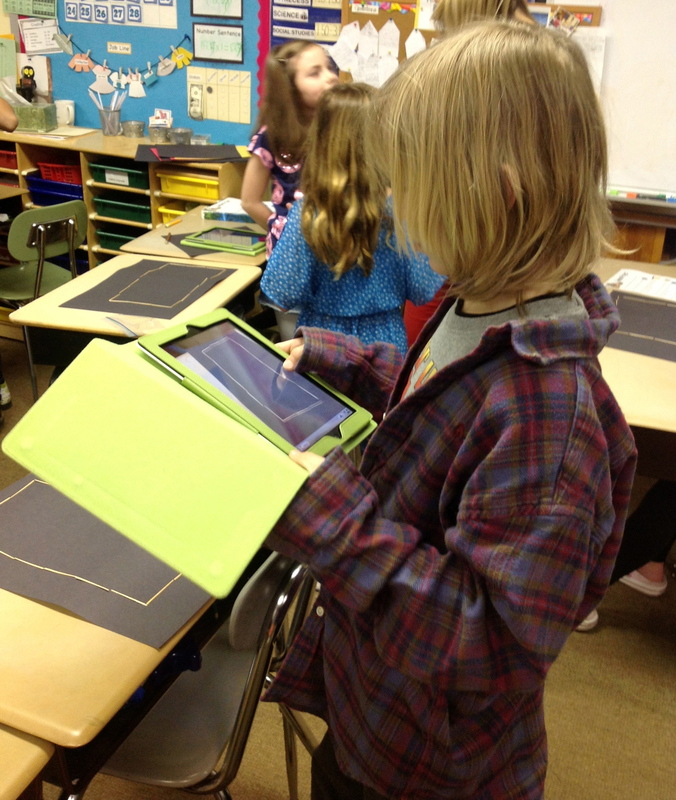 This entry was posted in Geometry, iPads, Math, Technology and tagged 3rd Grade, Area, Perimeter on January 29, 2014 by mathmindsblog.